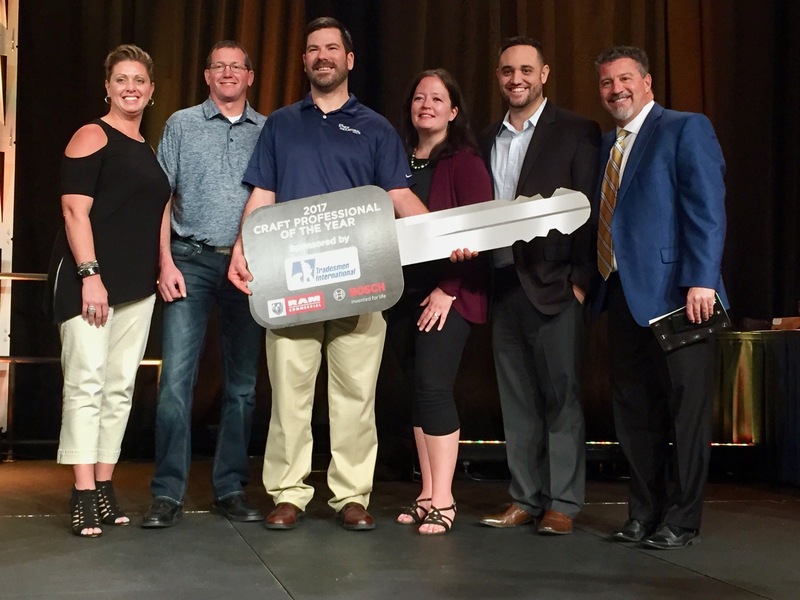 In 2017, Adam Ruff of Price Electric was named the Craft Professional of the Year by Associated Builders and Contractors. Associated Builders and Contractors (ABC) has announced the finalists for the 2018 Craft Professional of the Year award. This year’s winner will be announced at the Careers in Construction Awards Ceremony on March 22 during the ABC Convention 2018 in Long Beach, CA. ABC presents the Craft Professional of the Year award to a skilled craftsman who excels in his or her field and demonstrates a commitment to safety, training and passion for their trade. The 2018 winner will also receive a 2018 Ram Tradesman truck from the award’s founding sponsor, Tradesmen International, as well as a ReaXX table saw from award sponsor Bosch.